On 28 May 2014, the NSW Government announced significant increases for penalty notice amounts for some offences under the Protection of the Environment Operations Act 1997 (the POEO Act) and its subordinate regulations. 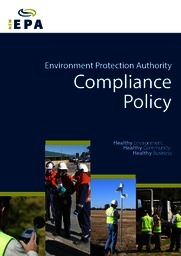 These increased penalty notice amounts have been implemented through the Protection of the Environment Operations (General) Amendment (Fees and Penalty Notices) Regulation 2014, which commenced on 29 August 2014.
reflect community expectations regarding the financial penalties that apply to environmental offences. $8000 for a corporation and $4000 for an individual, when these are issued by local councils. $4000 for a corporation and $2000 for an individual, when these are issued by local councils. This two-level approach reflects the shared regulatory responsibilities under the POEO Act where the EPA regulates larger, higher risk activities while local councils regulate smaller industries or individuals. The attached table sets out the offences and new penalty notice amounts for these key offences. Some other penalty notice amounts under the Protection of the Environment Operations (Clean Air) Regulation 2010 and Protection of the Environment Operations (Noise Control) Regulation 2008 have been increased by between 50 and 100 per cent. Details of the offences and new penalty amounts can be found in the full table of offences and penalties (XLSX 19KB). Increases to penalty notice amounts for offences under the Protection of the Environment Operations (Waste) Regulation 2005 will be considered during the review of the Waste Regulation. The EPA’s Compliance Policy will continue to guide EPA decisions around when to issue penalty notices, ensuring its compliance activities and actions are consistent, fair and credible and that will not change.